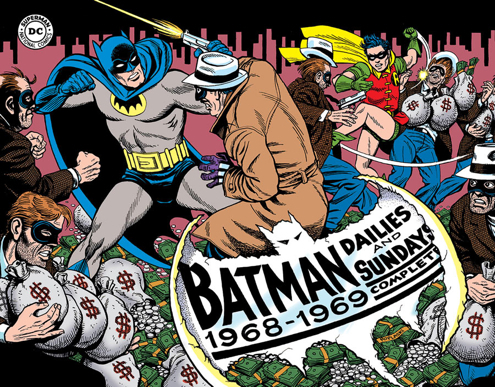 In conjunction with IDW, we’re publishing installments of Batman daily and Sunday newspaper strips not printed since the 1960s! 13 days of vintage Dynamic Duo! A year ago, we brought you the first look at the first volume of Batman: The Silver Age Newspaper Comics, which IDW Publishing is reprinting with DC Comics and the Library of American Comics. Volume 1 cover by Pete Poplaski: Batman ™ and © 2014 DC Comics. Now, the second volume is upon us (see cover below) out 1/21, and this time we’re doing something a little special here at 13th Dimension: A BATMAN A DAY, for 13 days! 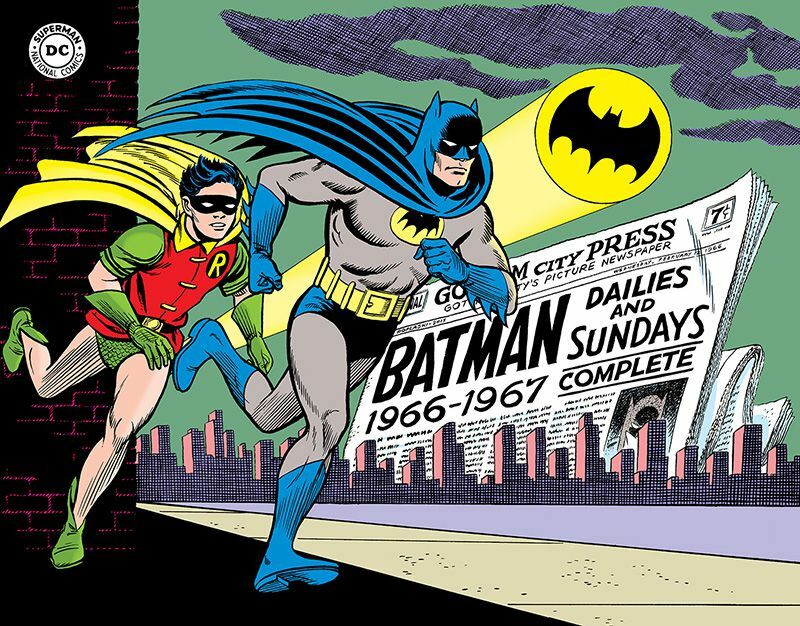 That’s right, every day, starting 1/19 we’ll be publishing in consecutive order a Batman strip from the book, including a full-color Sunday piece. The strips are classic Silver Age — zippy and zappy and taking clear inspiration from the Batman ’66 TV series. (So if you dig that — as well as the current Batman ’66 comic book — you’ll dig this!) Price? Lists for about $50. Again, this is stuff that hasn’t been seen since the late ’60s, so check us out every day and at the end of the 13 days, we’ll have a nice surprise for you! Chapter 2: Professor Zinkk Vows Revenge! Chapter 7: Your Full-Color Sunday Strip! Chapter 8: Superman Lassoes the Batcopter! Chapter 9: Robin … Grounded?! Chapter 12: Calling Batman … or Aquaman?! HOLY NEWSPRINT BATMAN, IT’S BACK TO THE FUTURE!